G. Gupta, et al. Logic, Coinduction, and Infinite Computation. Slides from CALCO'11 invited talk. 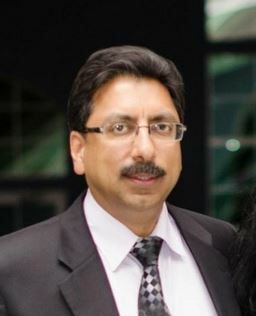 G. Gupta. Reissuing the 5th Generation Challenge: Next Generation of LP Systems. Talk given at DAMP'06. 19th Symposium on Practical Aspects of Declarative Languages (PADL). 32nd International Conference on Logic Programming (ICLP'16), New York, NY, Oct 16-21, 2016. 2016 ALP Autumn School in Logic Programming, New York, NY, Oct 15-16, 2016. 2014 ALP Summer School in Logic Programming, Vienna, Austria, July 17-18, 2014. 30th International Conference on Logic Programming (ICLP'14). Vienna, Austria, July 19-23, 2014. Artificial Intelligence: Knowledge Representation, Common Sense Reasoning, Explainable Machine Learning. From 1989 to 1991, I worked as a Research Associate in the research group of David H.D. Warren (of the Warren Abstract Machine fame, now retired) in the CS Department, University of Bristol, UK. From 01/92 to 08/00, I worked as a faculty member in the Computer Science Department at New Mexico State University. Support for my group has been provided by NSF, NATO, EPA, DHS, Sandia National Labs, AITEC (Japan), Fullbright Foundation, etc. Galliwasp: Goal-directed Answer Set Solver. With Marple, Min, Bansal. CoLP Metainterpreter: Meta-interpreter for co-LP. With Kluzniak, Simon, Mallya, Bansal. NEXUS parser: A parser for NEXUS (NEXUS is a bioinformatics mark-up language). ExSched System: An Excel Plug-in for Knowledgesheet (see below). A spreadsheet interface for solving constraint satisfaction problems. With Tiwari, Chitnis, Yennamani. 2006. Used in the past by CS and EE departments to automatically schedule courses. VoxBoox System: A system for automatically generating interactive talking books. With Aanchal Jain Click here to see demo. DAWN System: A system that allows interactive audio/voice based aural surfing of the WWW over the phone. With Raman, Nichols, Reddy, Annamalai. Semantic Web System: Semantically maps RDF documents and RDQL queries to Horn logic. The RDQL queries can then be executed w.r.t. RDF data. With Kunal Patel, 2003. The E-plan System: The E-plan system is a Web-based system for helping with emergencies involving hazardous chemicals. Read an article about the system in Firechief magazine (a more recent one here in Industrial Fire World magazine) and how it was used for Hurricane Katrina releif. TA Scheduler: Automatically assigns to TAs to courses. Used at UTD since fall 2002 to make assignment for 70+ TAs to about 120 courses. With King, Gupta, Guballa, Mallya. 2003. HTML to VoiceXML Transcoder: converts any HTML 4.0 web-page	to VoiceXML. Extensible. Developed in Java (initial prototype in Prolog). With Narayan, Gupta, Dr. Prabhakaran. Transform: Bioinformatics interoperability tool (available through swbic.org). With Drs Pontelli, Ranjan, Milligan. 2001. PALS: Parallel ALS, a distributed logic programming system based on the commercial ALS Prolog system. Implements full Prolog, and runs on Beowulf (ca. 2002). Built on top of Applied Logic System's (ALS) WAM, uses MPI and the novel technique of stack-splitting to realize distributivity. Villaverde, Pontelli, Gupta, Guo. TALS: Tabled ALS, a tabled logic programming system based on the commercial ALS Prolog system. Implemented on top of ALS WAM, uses novel technique of dynamic reordering of alternatives. With Hai-Feng Guo. NADA: An automatic system for checking undergraduate graduation requirements and providing advise automatically to students (built for NMSU). Implemented using Prolog + Java. Jose-Mendez, Karshmer, and Gupta. 1999. ACE: A High Performance Parallel Prolog System implemented on top of SICStus Prolog. Runs on SMMs. Pontelli and Gupta. No longer maintained or available. VACE: A tool for visualizing and-or parallel execution of logic programs. Runs on daVinci. Vaupel, Pontelli, Gupta. No longer maintained or available. Knowledgesheet: A Spread-sheet based tool for solving constraint satisfaction problems. Akhtar and Gupta. Nemeth to Latex Backtranslator: A system for converting Nemeth Math Braille document to Latex. 2001. Try the expression coverter here: Nemeth Math to Latex Backtranslator (alpha). An Interpreter for EqL: EqL is an equational language. Gupta and Jayaraman. 1987. No longer maintained or available.